Anyplace you celebrate your nuptials should have special meaning to you. It may seem exotic to get married in Bora Bora, but unless you travel there to see the locale before your wedding weekend, any far-away destination may not live up to the image in your mind. If you’re not able to visit a place in advance to scope it out, choose a location you have already been, and that is familiar to you and your groom. Doing so will make it easier to make decisions, particularly regarding your wedding venue and reception. You should always start with a budget as the first step in your wedding planning process. If you are planning a destination wedding, know that there may be some unexpected expenses that may not come to mind immediately when you start budgeting. While airfare and lodging should be obvious, consider the cost to bring vendors from home (like your can’t-live-without stylist). Think about shipping costs, if there are items that won’t fit in your carry-on, like a gorgeous three-tiered card box. Also, ask about set-up fees, particularly for things you and your squad won’t be able to take care of yourselves. Consider hiring a wedding planner who either lives in your wedding destination of choice or who is local and has experience planning weddings in your chosen destination. He or she will be familiar with the most sought-after venues and vendors and can serve as your proxy for important meetings. 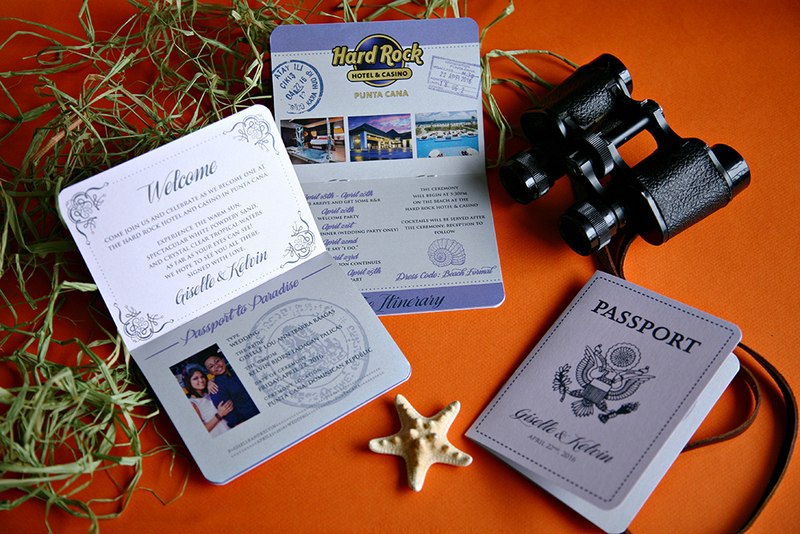 Familiarize yourself with the legal marriage requirements of your wedding destination if you plan to leave the country. You may not legally be able to get married in Cabo San Lucas, but that doesn’t have to kill your destination wedding buzz. It just means you and your honey get a double bonus of two ceremonies: one at your local County courthouse (think an intimate gathering of family and besties), and a second under the setting Pacific Coast Sun. It also may mean you need two wedding dresses, so budget accordingly! 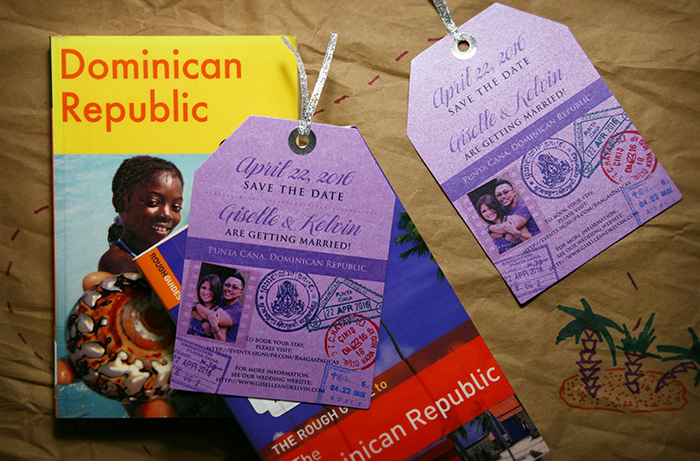 Planning a destination wedding is inherently going to require a longer lead time. Once you choose a date and venue, work with your stationer to send out save the date notices nine months to one year in advance. Family and friends will need to plan accordingly for your big day too. Some may need to request time off from work, coordinate a baby sister, and arrange for airfare. 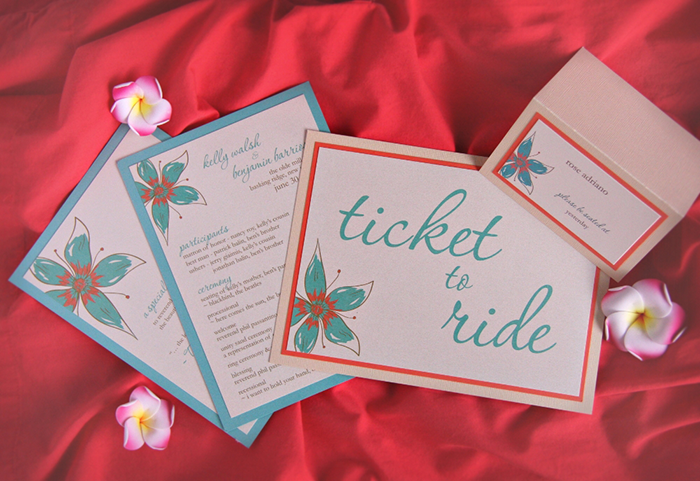 Give your guests enough time to ensure they can be part of your special day. Whether you plan to celebrate your nuptials and reception indoors or out, you will still need to consider the climate. A sleeveless gown may be comfortable for a late spring wedding on the Jersey Shore, but if you plan to marry in Aspen, you may be more comfortable with a sleeved gown, a la the Duchess of Cambridge. Try not to stress about the details you can’t control, especially if you won’t be able to arrive at your wedding destination until event go-time. So what if the roses in your bouquet are crimson instead of burgundy? Just keep in mind that the most important thing is for you and your groom to arrive safely, say your I Dos, and celebrate with loved ones. Get inspired! 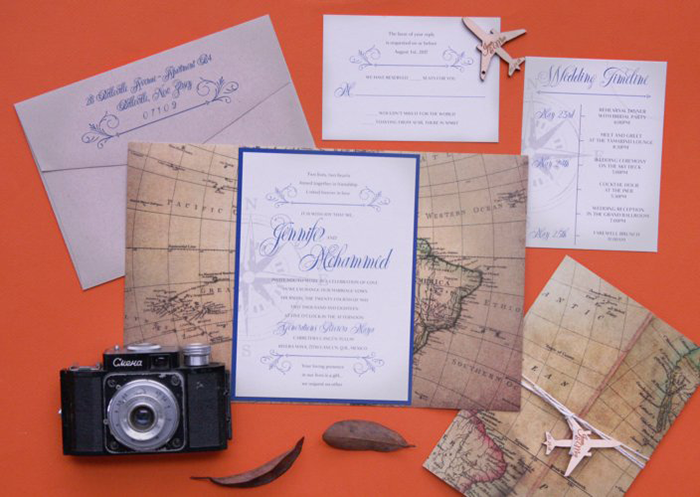 Click here to view our wedding invitation photo gallery.